If you love delicious, easy to prepare food, then look no further than our specially selected line of gourmet foods. We have searched for the very best in flavours and placed our own Tulips Gourmet label on our absolute favourites. The very first product that we introduced in our Tulips Gourmet line was our Tulips Dip Mixes. Easy to prepare and in five delicious flavours, these dips are always a hit at parties, or even just for snacking at home. Try our Bacon Cheddar, Cucumber Dill, Red Pepper, Sesame Garlic and Spinach Artichoke. 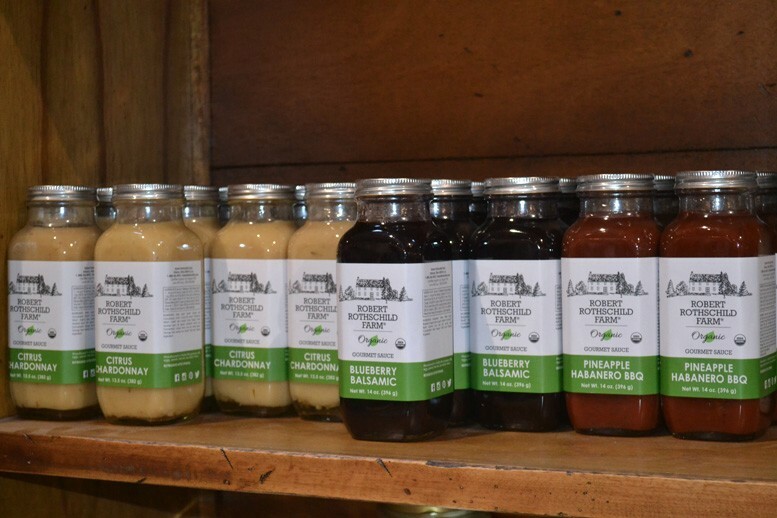 For salad lovers, we are proud to feature a collection of gourmet dressings, including Creamy Vidalia Onion & Peppercorn, Raspberry Vinaigrette, Vidalia Onion Honey Mustard, and Creamy Walla Walla Sweet Onion Dressing. 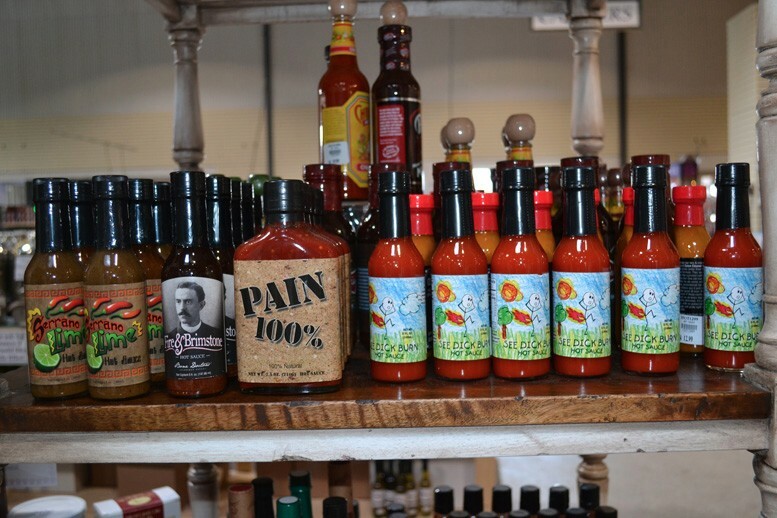 For summer barbecues, spice up steaks, chicken, kabobs, and more with our Good and Evil Hot Sauce, Vidalia Onion Picante Hot Sauce, and Sweet Bourbon Glaze. If desserts are your thing, try our new collection of dessert mixes in three sweet flavours, or our delicious line of Tasty Treats – including candy corn, flavoured liquorice, and more. If that’s not enough to tickle your sweet tooth, try our delicious homemade fudge, made right here in our store. In flavours like Chewy Praline, Chocolate Walnut, Sherbert, and even sucrose free varieties, you are sure to find the perfect flavours for you. For the sweet taste of summer all year round, try our Tulips Preserves, in flavours like Cinnamon Apple Cider Jelly, Blueberry, Seedless Blackberry, Dutch Apple, Strawberry, and Very Berry. To compliment your delicious treats, try our flavoured coffees, including Southern Pecan, Salted Caramel, Cinnamon Streusel, and Highlander Grogg. All year round we are also excited to offer our very favourite Crave Mulling Spices. Sample this warm and wonderful array of spices during the holiday season in our garden centre for free! Whether you are a gourmet flavour expert, or someone who simply loves good food, you are sure to be wowed by our all new Olive Oil and Balsamic Vinegar Tasting Bar. With over forty flavours of premium olive oils and vinegars there are a wide variety of delicious choices for cooking, baking, and, of course, sampling! 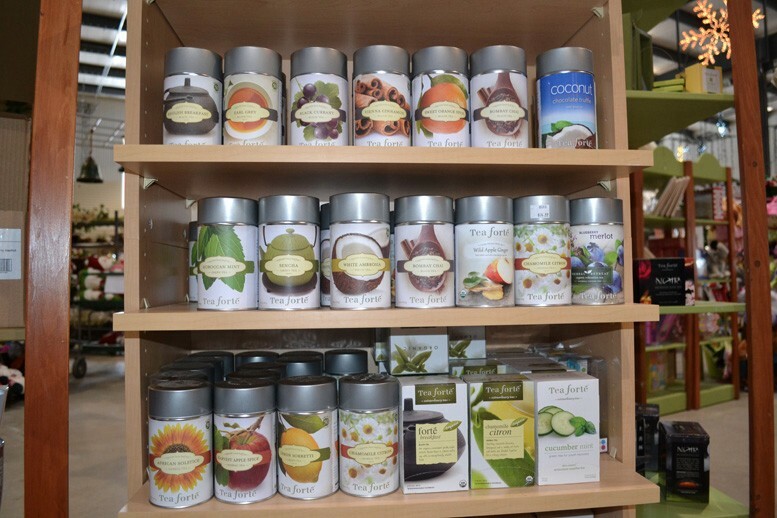 With our tasting bar set up, you can sample any of our flavours before you decide on what to buy. Once you have made your decision, we will pour the oil or vinegar into a bottle for you and seal it for you to take home. In our olive oils we have flavours such as California Koroneiki, Greek Kalamata, Chilean Arbequina, Sage and Onion, Smoked Hickory, Nocellara & Biancollia, White Truffle, Roasted Chili, Blood Orange, Butter (an extra healthy alternative to the real thing), Persian Lime, Meyer Lemon, Garlic Mushroom, Tuscan Herb and a variety of infused oils, including Rosemary, Garlic, Basil, Lemon Pepper, and more. In our balsamic vinegars, we offer a Modena 25 Star White and Dark Balsamic vinegar, as well as Lambrusco, Apricot, Coconut, Garlic, Green Apple, Lemon, Mandarin Orange, Honey Ginger, Garlic, Pear, Bittersweet Chocolate, Blackberry Ginger, Bordeaux Cherry, Chocolate, Fig, Maple, Hickory, Pomegranate, Raspberry, and Strawberry. WONDERING WHAT TO DO WITH GOURMET OILS AND VINEGARS? CLICK HERE FOR SOME EASY TO PREPARE RECIPES. One of our biggest sellers, the Robert Rothschild Farms collection includes dips, sauces, dessert dips, baking mixes, and even organic sauces. Know for its rich flavours, Robert Rothschild Farms is also full of easy to prepare and ready made gourmet products. If you love dips, then you’ve come to the right place! Our collection of Robert Rothschild dips includes Roasted Red Pepper & Onion, Roasted Pineapple & Habanero, Red Pepper, Raspberry Honey Mustard, Blue Cheese & Chive, and Emerald Isle Onion Dill Horseradish. 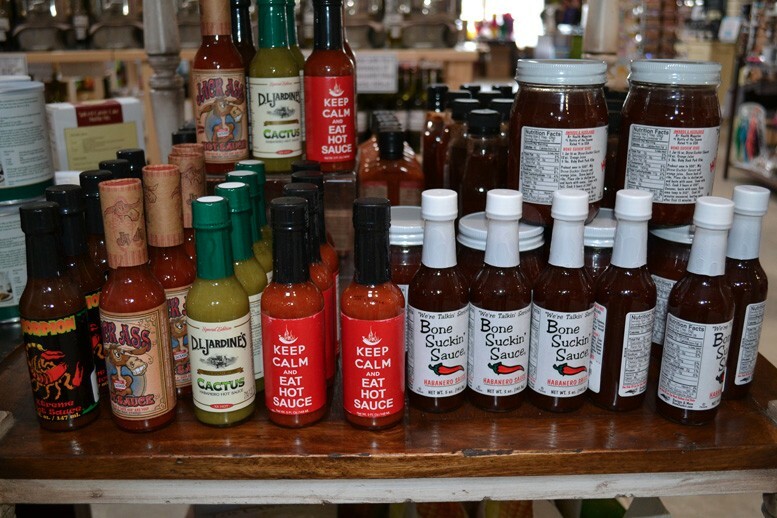 For the gourmet cook, try our selection of sauces, including: Anna Mae’s Smoky Sweet Chipotle Sauce, Thai Plum Garlic Sauce, Anna Mae’s Smoky Sweet Sauce, Balsamic Fig & Onion Sauce, Pineapple Coconut Mango Tequila Sauce, Peach Mango Habanero Sauce, Thai Sweet Chili Sauce, Thai Peanut Ginger Sauce, Ginger Wasabi Sauce, Horseradish Sauce, and Korean BBQ Sauce and Marinade. 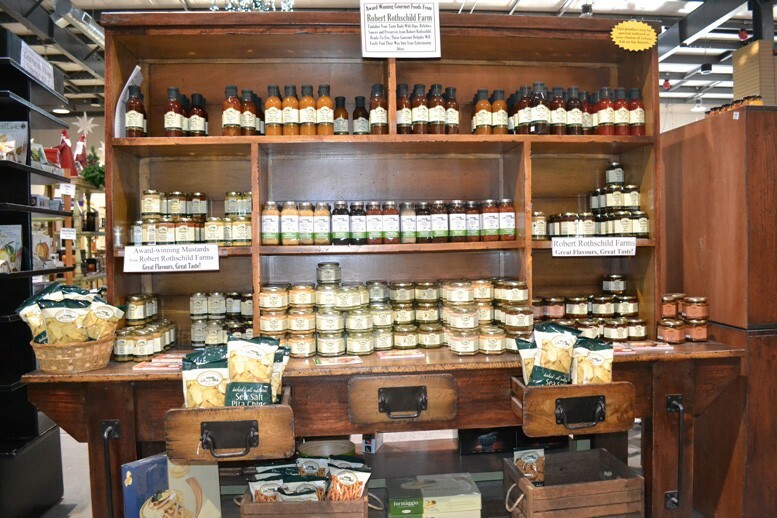 We are also excited about our new flavoured mustards and spreads, such as Anna Mae’s Smoky Mustard, Raspberry Honey Mustard, Sweet & Spicy Mustard, Raspberry Wasabi Dipping Mustard, Cranberry Pomegranate Mustard, Hot Pepper Preserves, Artichoke & Aged Parmesan Spread, Red Pepper Jelly, Balsamic Glazed Onion Spread, and Cucumber Mint Spread. 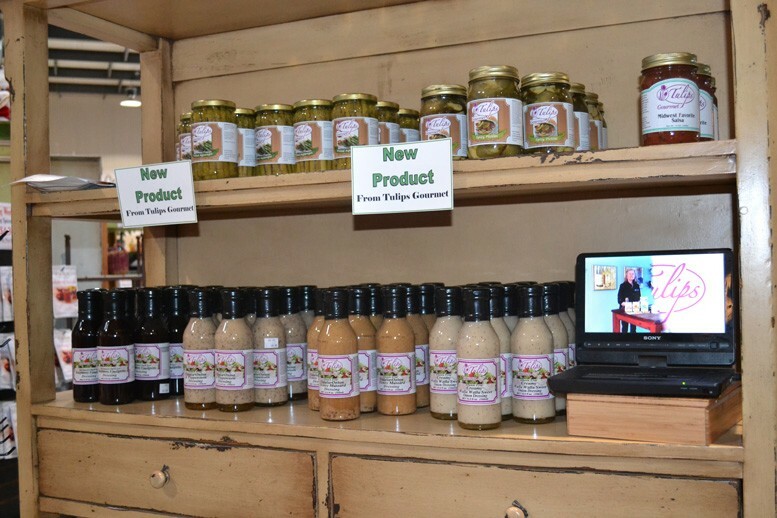 Our organic line features Organic White Creole Sauce, Organic Pineapple Habanero Sauce, Organic Sriracha Teriyaki Sauce, Organic Whiskey Pepper Cream, Organic Blueberry Balsamic Sauce, and Organic Citrus Chardonnay Sauce. For the sweet tooth, try our Chocolate S’mores Dip, Caramel Sauce, Dark Chocolate Peppermint Sauce, Chocolate Caramel & Sea Salt Sauce, and Dark Chocolate Sauce. If baking is more your thing, then make it a snap with our flavourful mixes, including: Wild Blueberry and Meyer Lemon Pancake and Waffle Mix, Dark Chocolate Fudge Brownie Mix, Rosemary, Garlic & Thyme Biscuit Mix, Spiced Carrot Cake Muffin Mix, and Butter Toffee Chip Scone Mix. Find all of this and more in our gourmet foods department! 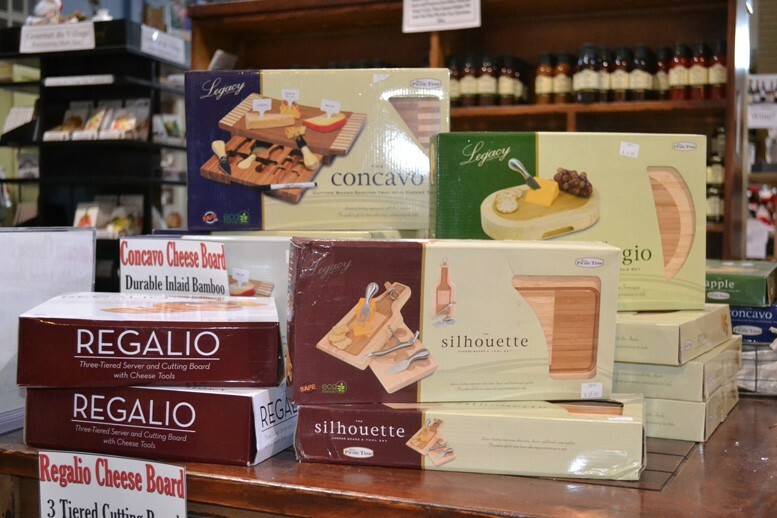 A classic Canadian company, Gourmet du Village is known for its wide variety of easy to prepare dips, and fantastic dip chillers, brie bakers, and other unique serving ware. With delicious traditional flavours in hot and cold dip mixes, it’s hard to pick a favourite! Try or Roasted Pepper, Mango Curry, Cheddar Onion, Lemon Dill, Onion Chive, Pink Peppercorn Parmesan, Roasted Garlic, Hot Parmesan Artichoke, Hot Caramelized Onion, Cheddar and Bacon, and Hot Crab mixes. 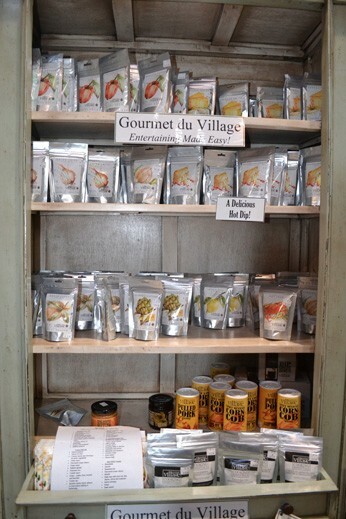 We are also excited to carry some unique flavours from Gourmet du Village, including Maple Balsamic Dipping Mustard, Sweet Onion Jam, and even Spicy Mexican Corn on the Cob Seasoning. Enjoy a warm drink on a cold day with our Caramel Truffle, Black Forest Cake, and Creme Brûlée Hot Chocolate flavours. For creative cooking, and colourful displays, check out the Gourmet du Village line of serving ware, including Dip Chillers, Fondue Cups, Soup & Bean Pots, and Brie Bakers. With all of their products made from Ontario garlic, The Garlic Box is know for flavourful and fun garlic products … all with homegrown roots! Try their Garlic Grilling Sauce, Chili Lime Splash, Maple Orange Garlic Sauce for summer grilling and year-round cooking. For the true garlic lover, try Pickled Garlic Cloves, Super Garlicky Bread Dipper with Blue Cheese, and the always tasty Garlic Bread Seasoning. If you like just a hint of flavour, try the Garlic & Dill Dressing, Garlic & Mango Dressing, and Garlic & Horseradish Dressing on summer salads, and garden stir fries. We’re wild about Wildly Delicious products! From their sumptuous bread dippers to their flavourful mashed potato seasonings, they are guaranteed to please the palate and delight your senses. If you’ve never tried bread dippers – what are you waiting for? Try our Hot Spiced Balsamic, Greek Oregano & Lemon, Roasted Garlic & Bruschetta, Peppercorn Shallot Merlot, Sundried Tomato Basil, Asiago Artichoke, Porcini Mushroom & White Truffle Oil, Roasted Garlic Parmesan, and Herbed Balsamic. In our divine collection of potato seasonings, try our Roasted Garlic Chive, Horseradish & Garlic, Wild Mushroom & Shallot, and Cranberry & Herb. Wildly Delicious also features their very own Brie Bakers and Garlic Roasters for cooking and entertaining. Try them today and we’re sure that you will be just as wild about Wildly Delicious! Are you a fan of jam and preserves? 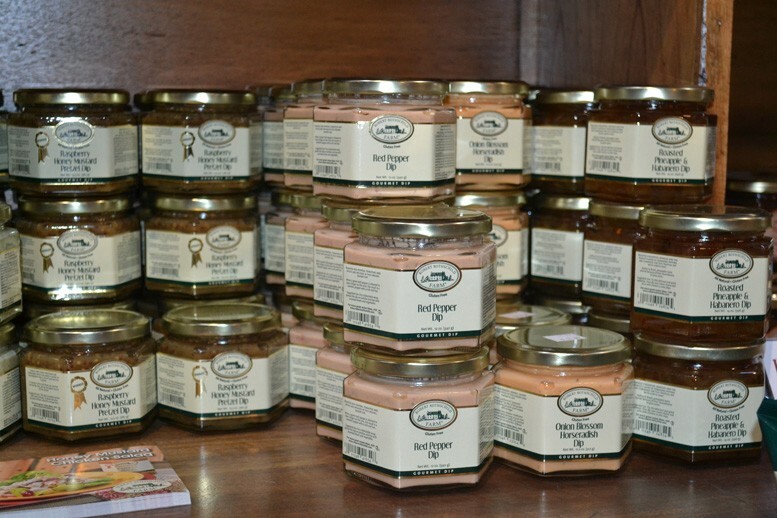 Look no further than our sweet and sticky collection of jams, marmalades, and syrups from Summerland Sweets. Try their delicious syrups on just about anything! In Strawberry, Blueberry, and Raspberry flavours, they go perfectly with pancakes, waffles, as a topping for cakes and ice-cream, in baking, and (for purists) straight from the bottle! We also carry their superb jams in flavours like Pure Black Currant, Pure Blackberry, Pure Cherry, Pure Strawberry Rhubarb, and Pure Apricot. If you are a fan of Paddington Bear and love your marmalade, then look no further than our Apricot & Orange, and Cranberry Marmalade. Made with vine ripened fruit, the Summerland Sweet collection of syrups and jams is sure to delight your tastebuds!